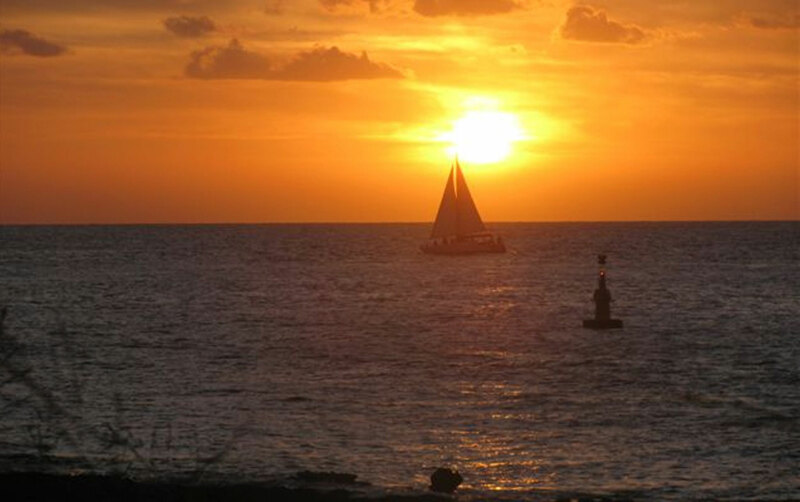 With a maximum of 26 passengers our sunset sail is the best party on the water! We sail...not motor sail. Enjoy great music on our stereo sound system, premium spirits and ice cold beer as well as mixed and blended drinks. We also provide you with delicious snacks, including Juan's famous pico de gallo and guacamole. Sodas and bottled water are also available. And with all that thirst-quenching, you'll appreciate our on-board bathroom! 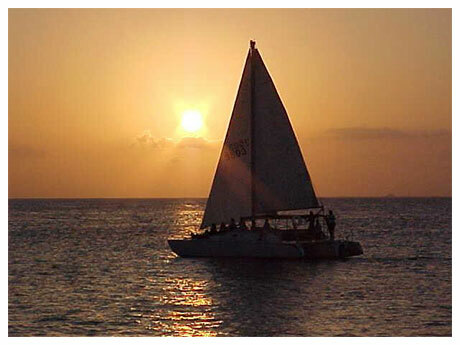 Public and private Sunset Sails are available. Groups of 14 or more are automatically considered a "private" sail. Please email us for our special private group rates.